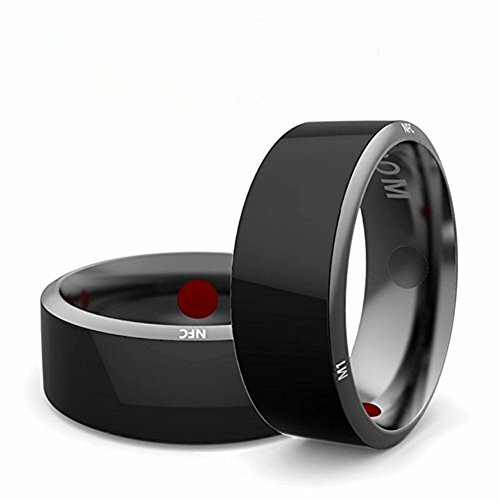 Secret Protection: This Smart Ring can be the KEY of your phone even your house door(13.56mhz frequency door Lock). No need to charge and waterproof. Health Module: Remove infrared ray and adjust body function by the FIR Energy Stone and the volcano magnet. Share & Transfer information (send the private message/Picture/business card/ website link to the person you want to share by a simple touch). Standard US size 7, size 8, size9, size10, size11, size12. Support phone models such as Nokia, Sony, Samsung, HTC, MIUI and all other NFC-enabled Android and Windows Phone systems. If you have any questions about this product by OWIKAR, contact us by completing and submitting the form below. If you are looking for a specif part number, please include it with your message.